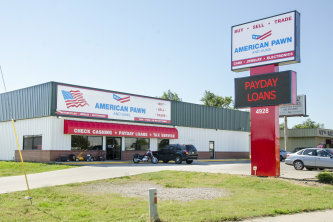 Formerly Daddy's Money Pawn Shop, but under new management and a new name, stop in to American Pawn and Guns for great deals on all kinds of merchandise. We are re-pricing everything in store and have great prices on all our merchandise. Additionally, we pay top dollar for items - whether you’re looking to sell your merchandise or use it for a collateral loan. We have a great selection of jewelry, guns, tools, electronics, computers, and instruments. We're currently undergoing a remodel to make your shopping experience even better! Have questions about pawning? Check out this FAQ from the National Pawn Brokers Association.